Little Caesars Pizza in Manor Centre! 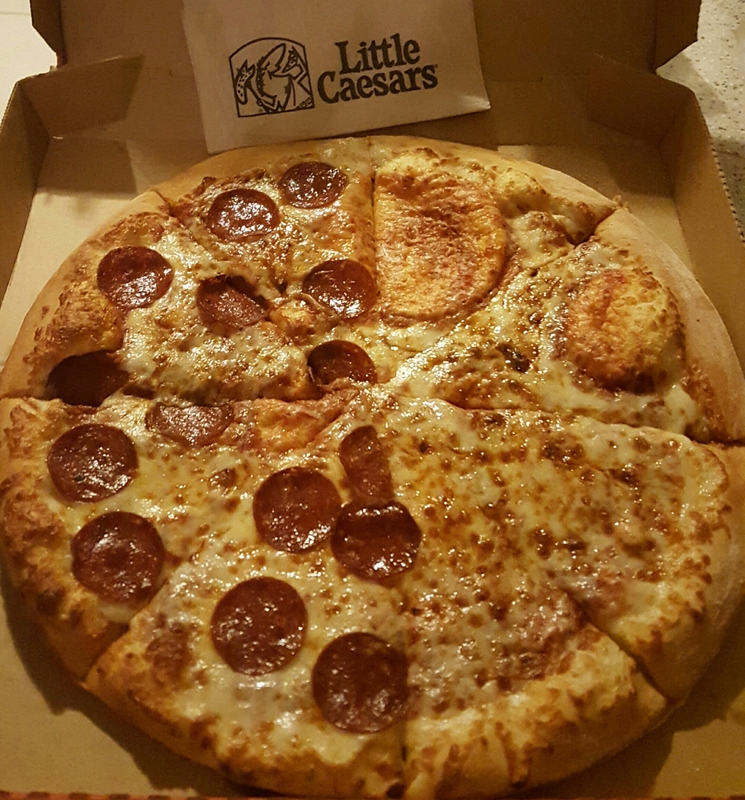 Have you stopped by Little Caesars in Manor Centre as yet? It is sharing the same space with the new Popeyes! It is the most affordable and convenient way to get Pizza right now. Just pay $1000 and a Hot-n-Ready Pepperoni/Cheese/ 1/2 Pepperoni and 1/2 Cheese Pizza will be handed to you! If they have a lot of people attending to and tell you it will be ready in 10 minutes, they mean it! Basic toppings such as Onions, Tomatoes, Mushrooms etc. can all be added for $270JMD and Premium toppings such as Bacon etc. can be added for about $390JMD. Combos with the Hot-n-Ready Pizza including a 2ltr soda are also available for $1600JMD. Early days but pleasant, efficient staff. The taste? I would still give Dominoes the edge and have it at about the same level as Pizza Hut. However, it is extremely tempting and easy to grab a Pizza on the go or other items such as Breadsticks ($400JMD) and Wings ($700JMD) that are already hot and ready as well. Previous PostMerrrrry Christmas from Suga!Next PostHappy New Year from Suga!